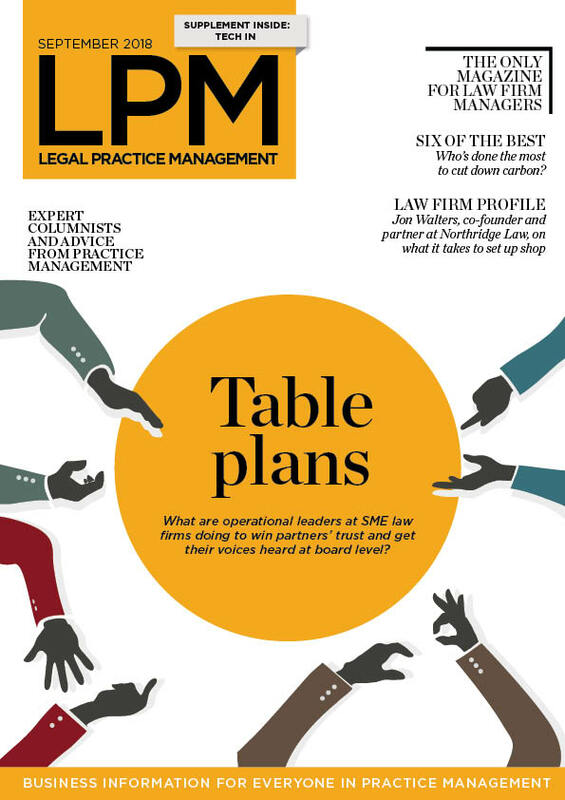 This month, LPM magazine finds out what it takes to get your voice heard at board level. Tech in – LPM teams up with Converge TS to dive into how clients are driving SME law firms to build better connections with technology. Staff writer Charlotte Bastiaanse takes a glimpse into what it takes to punch at board level and how to get partners to listen. Jon Walters, co-founding partner at Northridge Law, on how to turn a successful team at a top 100 law firm into a specialised boutique practice. Ed Fletcher, CEO at Fletchers Solicitors, discusses workplace culture, introducing new structures and what it means to be a leader.